The first wave of toys based on Star Wars side story Rogue One arrive on store shelves on Friday, September 30. 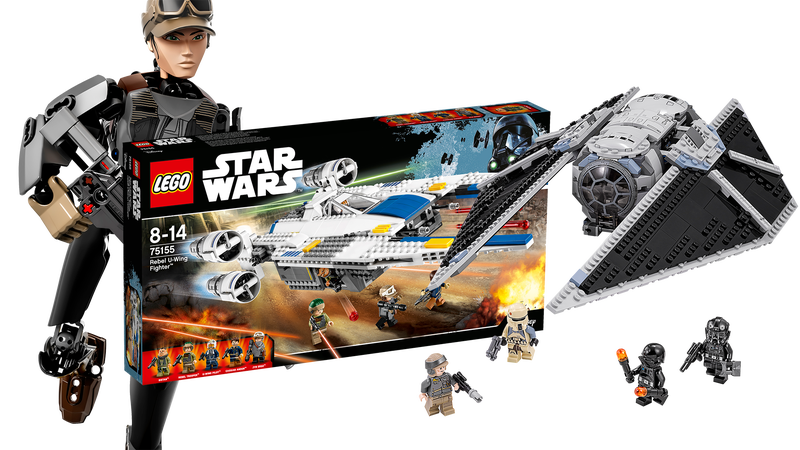 Lego’s bringing three buildable figures and five new sets to the party. Let’s look at them! Sargent Jyn Erso is front and center in the collection, as she should be, charging into battle as a buildable figure that looks a lot like Rey from The Force Awakens. K-2SO and a Deathtrooper (scary) round out the buildable figure selection. The rest are an assortment of old, new, and old-made-new vehicle playsets, because this is a movie that features a lot of vehicles. All of these sets should be available on September 30, Force Friday Part Two. 75119 - Sergeant Jyn Erso / 75120 - K-2SO / 75121 - Imperial Death Trooper $24.99 each.